Incredibly creamy and delightfully tangy, Crumbled Danish Blue Cheese by St. Clemens will fulfill all of your culinary desires in the convenience of a crumbled pack. Made from fresh cow’s milk, the cheese has over 50% milk fat content. Its subtle earthy undertones, salty bite, and distinct blue-green veining are what makes this blue cheese so unique. Danish blue cheese was first developed in the early 20th century by Marius Boel, a Danish cheese maker who dreamed of Roquefort and longed for Stilton. 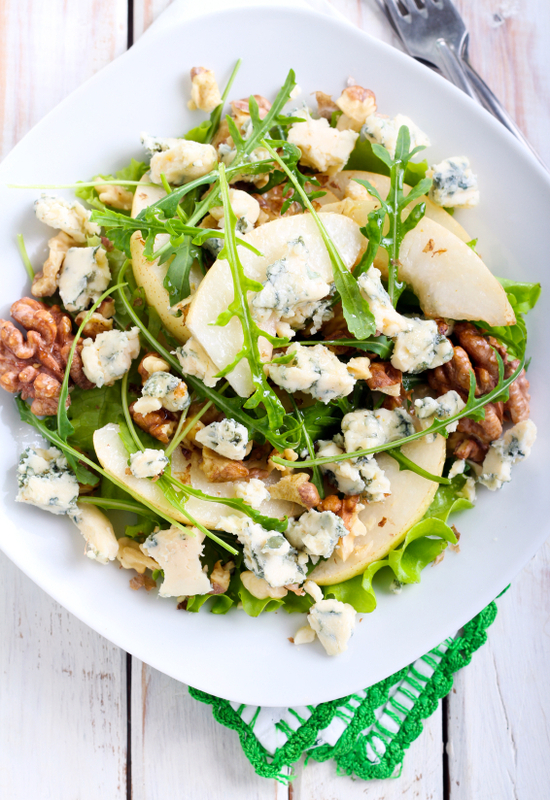 Though this Danish blue differs from its other European counterparts, blue cheese has become one of the most prized aspects of Danish cheese cuisine. Known for their excellence in producing blue cheeses, St. Clemens is the only producer to be named World Cheese Champion a record three times: 1980, 1998 and 2010. This renowned creamery continues to set the bar for superiority in blue cheese. Use blue cheese crumbles for everyday cooking! Make a Sunday brunch frittata with asparagus, tomatoes and blue cheese; bring crumbles to room temperature and spread on a ciabatta roll for a unique mini burger; or incorporate healthful spring salad! Application: Just in time for spring, combine the tangy taste of Crumbled Blue Cheese with the spicy, hearty taste of Del Destino Tapenade with Piquillo Peppers and Artichokes. The slightly piquant peppers and the smooth taste of artichokes are ideal as a spread with blue cheese, great as a topping for a hamburger or alongside carne asada. Pairing: Pair this robust cheese with a Barley Wine or a sturdy 90-minute I.P.A. Nature Terrae sources only the finest ingredients for their Allioli sauce. Garlic and oil are crushed together into an authentic creamy texture. All natural ingredients, including thyme, rosemary and oregano, are added to enhance flavor and to provide just the right amount of fresh herb taste. Allioli Fresh Herbs is ideal on sandwiches, for grilled meats and fish, or as a dipping sauce for vegetables.